The Nestlé Scholarship for Women was first awarded in 1997 and was initiated by a group of IMD MBA participants who wanted to encourage women to take the MBA. Women candidates who have already applied to the full-time IMD MBA program and who demonstrate financial need. Employees of Nestlé and its subsiduaries are not elegible. 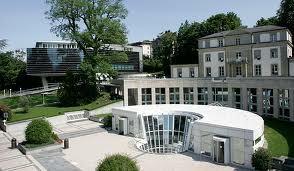 Applicants must have been accepted into the IMD MBA program prior to their application. IMD reserves the right not to award a scholarship if the criteria are not met to the satisfaction of the jury/sponsors. Demikian kami sampaikan tentang Nestlé Scholarship for Women, IMD Business School, Switzerland semoga informasi tentang Nestlé Scholarship for Women, IMD Business School, Switzerland ini bermanfaat.